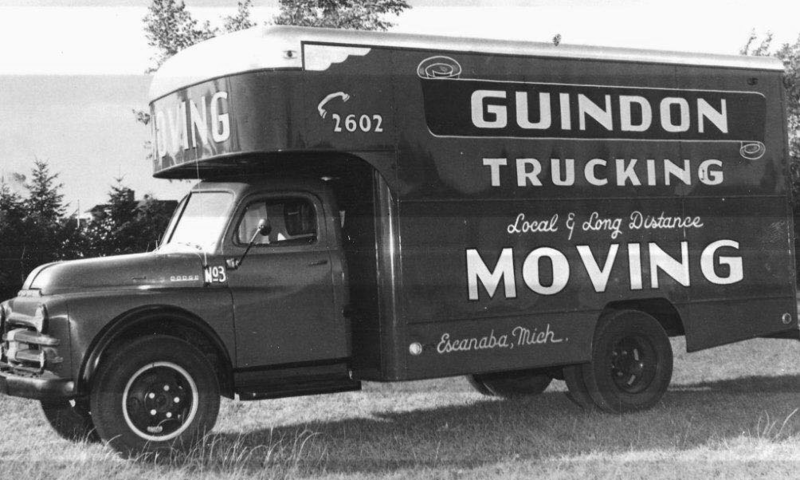 Starting over 80 years ago, Guindon Moving & Storage is one of Michigan’s Upper Peninsula’s longest running storage and moving companies. Family-owned and U.P. based, our moving company dedicates itself to helping out our clients’ needs and wants, and we will take whatever measures necessary to safely move your household goods from point A to point B. Guindon Moving & Storage has grown a lot in its over eight decades of business. To this day, we have 15 specialized moving vans, ranging in all different sizes to serve each specific customer with their Upper Peninsula moving. We also have storage facilities to safely keep your belongings damage-free for both short and long periods. No matter how big or small the project is, we can help you ease the stress of moving and make sure that all your products will be safe and sound during this new chapter of your life. Gwinn, Michigan is one of the most beautiful cities in Marquette County. Having that small town feel of tourism and attractions, with being only 20 miles away from Marquette, you will love moving to this relaxing town. Whether you are an outdoors person, or one who loves rich history, there are plenty of events to attend and activities to do! Did you know, Gwinn was built by Cleveland Cliffs Iron? The company purchased the land with the mindset of creating housing for the Gwinn mine workers. If you want a more-hands on knowledge about the history of Gwinn, go downtown where you will find the main library, fire stations, and the township office that all look like you took a step into the past. Are you more of an outdoors person that loves to fish and hike? Gwinn offers 52 lakes that have unlimited opportunities. New residences of Gwinn, Michigan, can enjoy the pleasure of canoeing, water skiing, swimming, fishing and relaxing with friends and family. Along with the 52 lakes, there are plenty of magnificent state parks and trails ready to be used. Enjoy the outdoor recreation in the Gwinn State Forest area as it offers you the opportunity to camp, hunt, have a bonfire, or to just take in the new scenery of Gwinn, Michigan. 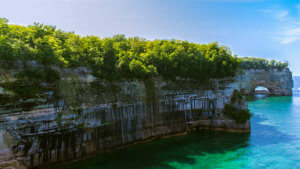 There are plenty of other activities when you move to Gwinn, Michigan that are waiting for you to explore them. When you decide that it is time to move to this amazing town, Guindon Moving & Storage will be here ready to help you. Whether you are moving your business across town, or moving into your first home from across the country, we have the resources you need to have a smooth and successful move. At Guindon Moving & Storage, all of our team members are trained to make sure that our customers are satisfied with their move and have no issues. We take customer service very seriously, striving for complete gratification from our clients, and holding our moving and storage services to the highest standards. If you are ready to go enjoy the peace and quiet of the great outdoors, let us take care of your moving needs. To get started on your Upper Peninsula move in the Gwinn area and to get a free quote today, contact us or fill out our online form!